Why Goldsmiths, University of London? Goldsmiths has been part of the world-renowned University of London for more than 100 years, so the quality of its degrees is internationally recognised. The university offers undergraduate, postgraduate, teacher training and return-to-study opportunities in subjects covering the arts and humanities, social sciences, cultural studies, computing, and entrepreneurial business and management. Recognised as one of the UK's top creative and political universities by students (Which? 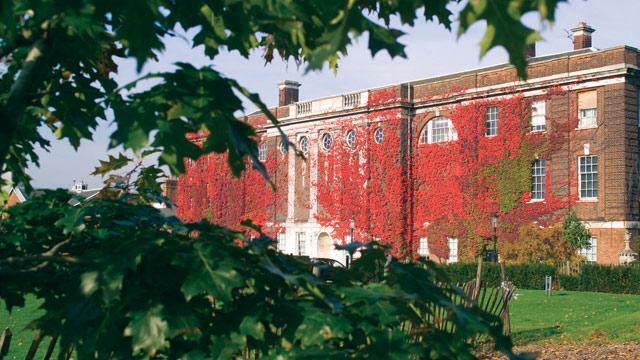 University 2014) and ranked in the UK’s top 25 for the quality of our research (2014 Research Excellence Framework), Goldsmiths is known for its academic excellence. Located in New Cross, South-East London, Goldsmiths is a 7-minute train ride from central London. All facilities are on one site where you will have access to a wide range of facilities such as the library, computing facilities and digital media suite. This means there is a real campus feel to university life. Goldsmiths has a thriving international community with over 10,000 students from all over the world. You’ll benefit from the facilities and expertise of the Goldsmiths Careers Service, invaluable work experience through placements and volunteering opportunities organised by the award-winning Students’ Union, and workshop programmes that encourage you to think creatively about your future. Because of this, international employers have a very high opinion of Goldsmiths graduates. They praise their enterprise and initiative, and their creative approach to solving problems. Our graduates were recently rated among the best in the UK by employers in the business, IT and engineering sectors (Global Employability University Ranking 2015). Goldsmiths offers a range of scholarships to international postgraduate students. “My pursuit of a PhD at Goldsmiths has been a rewarding experience. I’ve had the opportunity to meet and exchange ideas with an extraordinary calibre of students, instructors and visiting academics. I regularly have the opportunity to interact with internationally renowned theorists. I have attended conferences in Berlin and Copenhagen as a result of my involvement with the Centre for Cultural Studies. Goldsmiths has been a wonderful place to carry out my research." More than 9,000 students and 396 academic staff. A wide range of undergraduate and postgraduate degrees, plus numerous short courses including evening and part-time studies. Seven former Goldsmiths students have won the Turner Prize. Notable alumni include Oscar-winning director Steve McQueen, artists Antony Gormley, Damien Hirst and Sam Taylor-Wood, and Blur musicians Alex James and Graham Coxon.